In this chapter, I’ve sprinkled advice throughout, but let me summarize and articulate some additional guidelines that may help you to successfully navigate social media. Monitor where your kids are and what they are doing. This has been good advice since I was a kid in the 60s and 70s. Where are you going? Who are you going with? What will you be doing? When will you be back? That advice still works in the Internet age. In order to know what they’re doing, as parents you may have to turn off the TV and get online with them in order to understand the world in which they’re living. If you’re not already online where your kids are, this will almost certainly take you out of your comfort zone. But your other option is to have your kids off doing whatever they do with friends (real as well as virtual) without any input or guidance from you. I don’t recommend that. Determine age specific guidelines for your household. The Church establishes age appropriate guidelines for our youth. At 14 you can attend stake dances, at 16 you can date, at 18 or 19 you can serve a mission, etc. Do a similar thing in your home. Figure out the age at which your child will be allowed to have a Facebook account (hint: it shouldn’t be lower than Facebook’s minimum age requirement!) and then provide counsel as they approach that age. I don’t recommend cutting children off completely from social media during high school, primarily because it does not permit them to learn the proper social rules of engagement while under the supervision of loving parents. If you cut off all social media, you have simply chosen to take yourself out of the equation, and have placed your child into the position of heading off to work or college with no clue about how to manage himself or herself within a social network. When I say that children should have access to social networking, I do not mean to imply in any way that there aren’t thoughtful and well-articulated parental guidelines. I expect involved parents to be aware of the online friends their teens are acquiring, to place limits on the amount of time they’re allowed to spend online, etc. So I’m not recommending parental abdication. I’m recommending parental involvement in the online lives of your children. When your kids are on a social network, friend them. I mean this. If your teenager won’t friend you on Facebook, you already have a serious problem (which, by the way, is a parent-child problem, not a technology problem). When you join your child online, don’t do it simply to check up on them. Do it in order to connect with them and be with them in that sphere. We’ve reached a point where Facebook access is so ubiquitous that teenagers are beginning to move onto new social media platforms specifically to get away from their parents. In my view, a spiritually and emotionally strong parent-child relationship should not include that type of gap. As a parent of many teens, I’ve always considered the degree to which my teen was comfortable being associated with me in public, and used it as a barometer of spiritual and emotional health. If a teen wants you to drop him off a block from school so he isn’t seen getting out of your car, you have a problem. If that teen doesn’t want you to see who his Facebook friends are, you have a problem. These are not technology problems; they are spiritual, emotional and relationship problems. Advise your teenagers to be careful in their online interactions. Teenagers are particularly vulnerable to a number of problems involving online relationships. Cyberbullying and predators13 are important issues because of their severity, but they are not the most common problems. Overly intense teen relationships can be emotionally and spiritually damaging and may cause children to distance from the family. Advise your teenagers to be careful about what they post and about the kind of reputation they create for themselves online. The same is true for all of us, although adults generally possess a bit more common sense than the average teenager. Help teenagers understand that what they post creates an image that others see and which they use to form opinions. Help them understand that their online persona will attract people drawn to that kind of persona. If they use a provocative and immodest selfie as their profile, they will attract a certain kind of attention. If they use a shot of themselves in front of the temple, the same principle applies—they will attract a certain kind of attention. Teach your teenagers to practice proper netiquette. Lead by example and practice good netiquette yourself. Avoid trolling people online. Stay out of flame wars. Don’t say or do anything online that you wouldn’t do in person or with an audience. Trust me—you have an audience. View social networking as a way of doing good in the world and spreading the gospel. Post things that are uplifting and that build faith rather than tear it down. Remember that social network sites like Facebook embody every form of Internet safety concern, thrown into one portal experience. 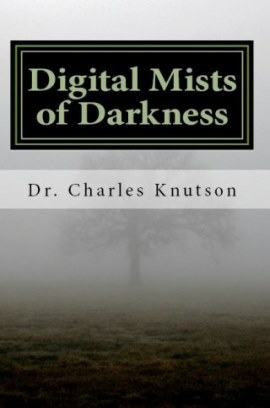 All of the issues presented in every chapter of this book ultimately come to bear when using social networking sites. It is a relatively new landscape in which the children are the digital natives and the parents are the ones who speak with an accent. 12 Deborah M. Gray and Linda Christiansen, “A Call to Action: The Privacy Dangers Adolescents Face through Use of Facebook.com,” Journal of Information Privacy & Security 6, no. 2 (2010): 20. 13 Addressed in Chapter 9 and Chapter 5, respectively.